Edit 2/3/18 - I've updated this blog post to reflect what I ended up sending home / tossing out 4 months into my 10 month backpacking trip. Biggest lesson learned... don't pack so many clothes!!! Packing for my trip to Australia was a challenge! Mainly when it came to packing clothes. I had a hard time because I wasn't sure how long I was going to be abroad for (I'm still not sure) and I didn't know what the weather was going to be like. I knew I didn't plan on snowboarding in New Zealand or spending the winter in Australia, so I stuck with lots of tshirts and tank tops and dresses, but also packed jeans and a fleece. 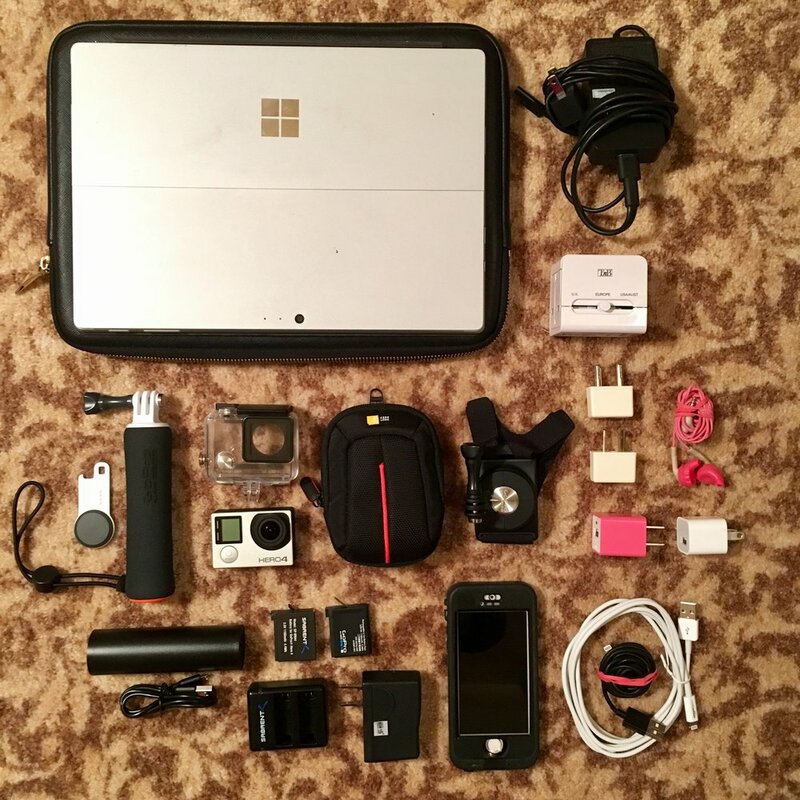 Below is what I finally ended up packing in my travel backpack. For any prescriptions, you need to see if your health insurance will cover more than one refill at a time. I had to explain to the pharmacist that I was going to be abroad for 6-12 months. I have definitely been sick before while abroad and being prepared with my own medicine goes a long way. However, you can also usually find the medicine you need by going to a pharmacy wherever you are at. Funnily enough, I had received a free LifeProof case from LifeProof since my last one malfunctioned in Belize. However, when I was packing, I couldn’t find the new case anywhere. I refused to buy another for $70, so my iPhone 6s is currently in the pretty, glittery case that I bought on Etsy for $20. The iPhone 5s is an old phone that I decided to bring if something happened to my iPhone 6s. For all my technology, when I'm traveling from city to city, I keep my laptop and GoPro on me in my day backpack and it doesn’t leave my sight. When I’m in a hostel, I keep it locked up in my locker. Almost every backpacker brings along some kind of technology nowadays, including laptops, so it's not unusual to travel with this technology. 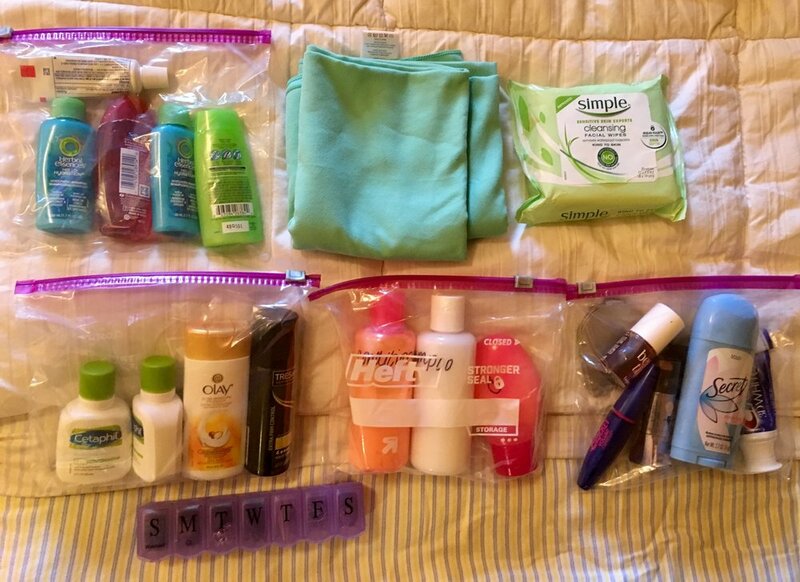 You can buy any toiletries abroad, so just take what you need to get you through the first few weeks. I only bring four essential makeup items with me - there’s no way I would pack foundation or any heavier makeup when I’m abroad, but to each their own. I keep all my toiletries in this lovely Bago Travel Bag, which holds everything I need, has plenty of pockets, and has a hook so I can hang it in the shower. 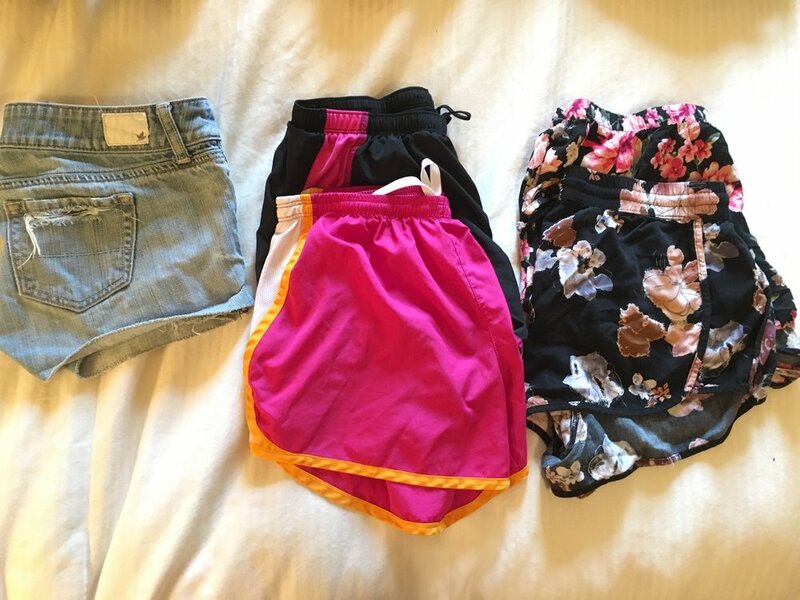 Edit 2/3/2018: I PACKED WAY TOO MANY CLOTHES! I sent half of this home by the time I reached the Philippines. I sent even more random stuff home by month 5 in Thailand. I sent home: pair of jeans, 2 dresses, multiple t-shirts and tank tops, multiple bathing suits, any long sleeved shirts. 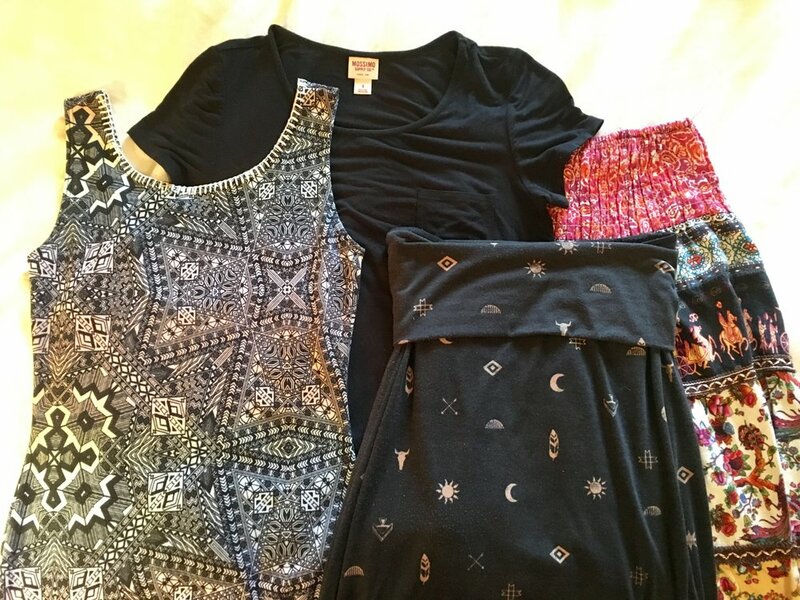 What I ended up keeping: my fleece pullover, my windbreaker, 1 pair of jean shorts, 2 pairs of workout shorts, 1 black cami, 2 sports bras (literally did not wear a real bra for 10 months), 3 patterned tank tops, 1 rash vest, 1 light weight white button down shirt, 2 bathing suits, 1 pair of leggings, and a black patterned dress that also doubled as a maxi skirt. 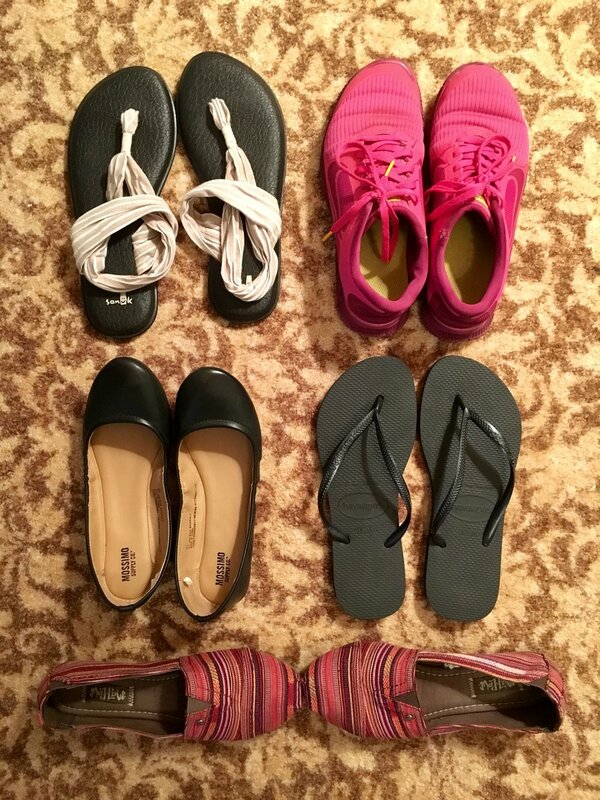 As for shoes, I ended up losing my tennis shoes, ruining my Saduk sandals on a boat, and never even touched those black flats. I lived in flip-flops everyday. Ugh, packing clothes for this trip was the worst. But, I’m happy to say that I’ve had everything I needed for my first week abroad. It’s actually been a little colder in Sydney than I thought, so I’m glad I brought jeans and my fleece. I am pretty basic with clothes when I travel. I like being comfortable and I know what looks good on me, so that’s what I stick with. I tried to pick pieces that would match with black. Again, anything you need clothing-wise you can buy abroad in a major city. It's also easy to do laundry. When I had finally decided on which clothes I was taking, I rolled them up and they all fit nicely into my packing cubes! And then there's my backpack… my baby. I have a Gregory Jade 60L travel backpack. I bought it from REI right before my trip to Nicaragua. I had been looking online, but couldn’t tell what would be the right fit was for me. I decided to go into a store in Chicago and the staff was so helpful at making sure I had a good-fitting backpack, which was important for me since I’m petite. I remember not wanting to pay the $200 for it, but I kept reminding myself that it would pay off in the long run because I was going to keep traveling. Three trips later and a year in Australia, this was the best investment I could have made. I have absolutely no complaints about this backpack. If you want more tips on how to choose a good travel backpack, check out this blog post by Nomadic Matt or this post on Jen Reviews. I think the other thing that is important to mention is that I bought all of these items over a period of 1-2 years, so they were small investments over a long period of time. By the time I was packing for Australia, there was very little I had to buy that I didn’t already have from previous trips. For example, I bought the towel, toiletry bag, and packing cubes from Amazon before my trip to Belize because I learned my lesson in Thailand at not having a quick-drying towel. I was also having a hard time keeping all my clothes in ziplock bags, until a friend I was traveling with showed me her awesome packing cubes! I bought the GoPro right before Thailand. I’ve had the adapter since my first trip abroad, 10 years ago. I bought the padlocks before I went to Nicaragua. What I’m trying to say is that if you make these purchases over time, they’re not as big of a hit than if you scramble to buy them all at once right before a big trip. It goes without saying that you should leave expensive and flashy jewelry at home. Flashy jewelry makes it look like you have money, and money attracts thieves. I wanted to take my SMC class ring to Australia with me and my nice Tory Burch sunglasses, but left those items behind, along with other valuables. I'll update this post depending on if I buy / throw anything out. But that's everything that I've stuffed into my backpack! If I bought the product off Amazon, I linked to the exact product I bought on Amazon. If I bought it off another website, I linked directly to that site.